The Third Line will present a survey exhibition of Iranian artist Monir Shahroudy Farmanfarmaian that reflects upon the past decade of her remarkable artistic journey. Showcasing works from 2004 until now – including those being displayed for the first time – the exhibition highlights Monir’s stellar career as a pioneer in contemporary Iranian art. 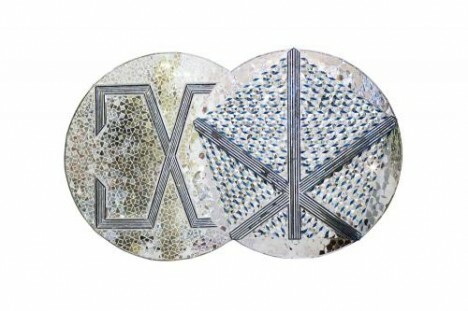 Mapping a chronological trajectory through the different series of works that Monir completed over the past nine years, the exhibition follows the evolution of her signature style aineh-kari mirror mosaics and her investigation into divine cosmology. The principal theme in her art practice of correlating mysticism with numerology, Islamic geometry and architecture remains a quintessential feature within this exhibit.